The following article was originally published in Educational Technology, and is published here with permission. 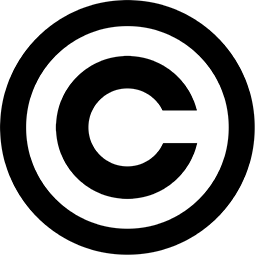 The following is the citation to the original article. Dousay, T. A. (2017). Defining and Differentiating the Makerspace. Educational Technology, 57(2), 69-74. The intersection between constructivism, constructionism, collaborative learning, and problem-based learning comprises the heart of the maker movement. Being a maker means embracing the “do it yourself” or DIY mindset (Morin, 2013), and engaging in making takes different forms. Some call it tinkering, referring to the spirit behind American innovators such as Thomas Edison and Steve Jobs (Lahart, 2009); while others call it hacking, in the essence of the hackerspaces that originally rose in popularity throughout Europe during the 1980s and 1990s (Minsker, 2009). Still others use the terms interchangeably to denote a generic emphasis on creating and exploration. Regardless of which term is used, the hands-on approach to learning from experts and informal structure with particular attention on a truly personal, intrinsic endeavor (Kurti, Kurti, & Fleming, 2014) situates making firmly between constructivism and constructionism. In other words, the social nature of learning defined in constructivism (Vygotsky, 1978) takes shape in a makerspace through interacting with others, learning from those more experienced, proceeding at the learner’s own pace, and disconnecting from most formal learning expectations. The relationship to constructionism (Papert & Harel, 1991) arises naturally through the focus on making something and the learning that occurs through that process. The very nature of working with others when making, hacking, or tinkering creates opportunities for collaborative learning through problem and/or project-based means. In the midst of this booming informal learning phenomenon, however, it provides a prime opportunity for PK-12 schools and universities to explore the implications for formal learning. While the maker movement itself seems broad and general, the physical spaces that host making activities are even more varied. “Makerspaces are informal sites for creative production in art, science, and engineering where people of all ages blend digital and physical technologies to explore ideas, learn technical skills, and create new products” (Sheridan et al., 2014, p. 505). The emphasis on the informal and exploration translates to a wide variety of spaces including public libraries, community centers, PK-12 classrooms, and even university facilities. From the Chicago Public Library’s Maker Lab to the Creation Station at the St. Helena branch of Beaufort County Library in South Carolina (Ginsberg, 2015), public libraries large and small see the potential of and value in making. One of the oldest community spaces, The Geek Group out of Grand Rapids, MI, began as a collaboration between community members and Grand Valley State University, in the mid 1990s to facilitate innovation, play, and learning. Now a global group with more than 25,000 members, the primary facility provides space for members “to build projects and prototypes, collaborate with other members, take classes in their areas of interest, and teach classes in their areas of expertise” (The Geek Group, n.d., para. 4). Each of these spaces, regardless of host, include diverse approaches to equipment, space, and activities that operate in the spirit of the maker movement. Characteristics or profiles of spaces take on different dimensions under closer scrutiny. Websites such as Makerspace.com, Hackerspaces.org, and Mobilemakerspace.com maintain user-generated directories and profiles. A review of these directories and an examination of the individual space characteristics generates considerations for location, technology and tools available, personnel, and access. Spaces can be in a permanent facility that houses the space and all related equipment and staff or hosts the space for specific events. For example, some community spaces make arrangements to reserve and use public libraries or other community facilities on a regular basis for meetings and special events. Partnerships like the Center for P-20 Engagement at Northern Illinois University operate as more of a mobile space, coordinating the expertise, equipment, and supplies for special events hosted in various places. The tools and technology in a space are perhaps the most varied aspect. Permanent facilities tend to design spaces around shops or areas focused on specialized tasks and skills. These areas include mechanical repair and electronics, woodworking and fabrication, cooking and crafting, and computer labs with digital technologies (Sheridan et al., 2014). 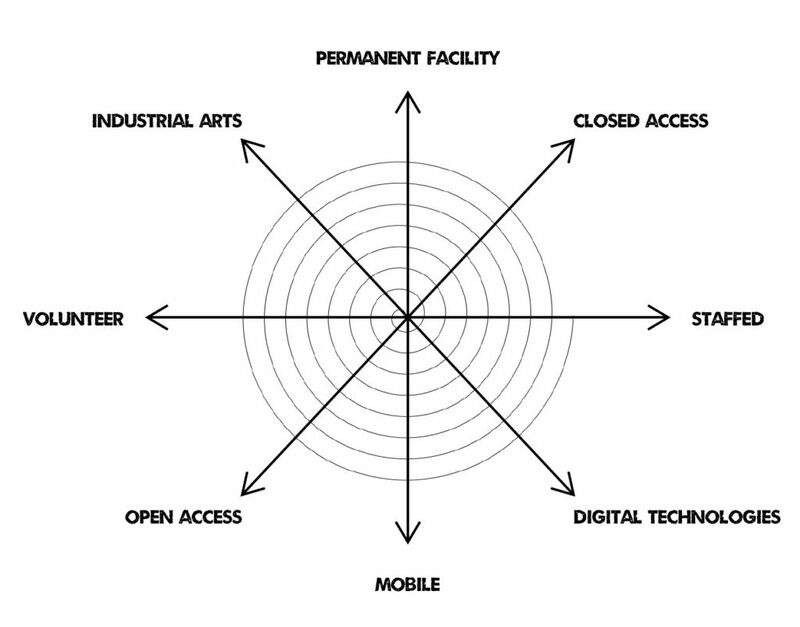 In other words, tools and activities range between industrial arts and digital technologies, including everything in between. With respect to staffing makerspaces, there are three primary approaches; paid personnel, volunteers, and blended. The majority of spaces tend towards the blended approach, making use of operating budgets, when available, to pay coordinators like safety, event, and/or director. Expertise in spaces is almost universally provided on a volunteer basis, but some spaces also call upon volunteers to manage daily operations. Access to spaces also takes on different forms. Some spaces allow open access to a community, accepting donations and/or charging for specific services like 3D printing or use of equipment. Other spaces are open on a membership basis, meaning that an individual or family pays a monthly or yearly fee for open access to all expertise, tools, and materials. Age of the visitors may also be a consideration, ranging from inviting members of all ages to focusing on specific age groups. Still other spaces are completely closed, only allowing access to a specific group of individuals. Spaces in PK-12 schools often fall in this latter classification, only allowing currently enrolled students to access the makerspace. Some spaces focus efforts at specific points along a virtual spectrum while others work at multiple points on the spectrum. Figure 1 illustrates this multidimensional framework for profiling these characteristics. Each line represents a spectrum along which a space may operate, either by initial setup and design or through evolving changes. The spiral that swirls around the axis represents a multidimensional nature. For example, the WyoMakers makerspace at the University of Wyoming operates as a permanent facility, housed in a campus building, with primarily digital technologies, staffed by paid student workers and volunteers, with open access to the community. Photographs of WyoMakers are illustrated in Figure 2. Comparatively, only students enrolled in specific courses at Jackson Hole High School (JHHS) can use the campus FabLab, which is housed in a wing of the main school building with a mixture of industrial arts tools and digital technologies. The FabLab is staffed by school faculty. These two makerspace profiles help illustrate how the framework helps describe the features and functions of a space. Using this framework to define a particular makerspace may help stakeholders evaluate immediate and long-term needs and capabilities. Whether a space is in the early conception phase or assessing continued operation, the framework guides decision-making questions that inform budget, infrastructure, personnel, and more. Some of the questions may be easier to answer than others, depending upon particular circumstances. Many PK-12 schools may prefer to operate a closed facility that only serves enrolled students while college and university makerspaces must decide between opening a space for the community or restricting access. Even community spaces must consider their purpose and mission in conjunction with sponsoring agencies to make a similar decision. The access decision informs budgetary concerns when assessing the cost of consumable materials (filament for a 3D printer) and equipment maintenance (blades for silhouette cutters). When considering the funding question, sponsorships must be taken into consideration. Makerspaces that receive funding from a parent organization such as municipal or taxpayer funds may have guidelines on how money can be spent, but still operate in an open fashion. Other examples of sponsorships include competitions such as the CTE Challenge from the U.S. Department of Education (2016) or even corporations like MakerBot. Alternatively, a community space with open access with no primary budget provider would be well served charging a membership fee or offering specific access or services on a fee-for-use basis. Staffing decisions in a space involve questions such as “do individuals need a particular credential to work here?” A closed-access space built into the curriculum of a PK-12 school likely requires staffers to be faculty employed by the school with an endorsement in a particular subject area; whereas an open access university space may allow anyone in the community to work there. Lastly, and likely the most fluid of all decisions, is that of what tools and technology to provide in expertise and/or access. Some makerspaces have found success starting with digital tools more readily available as they draft growth plans and seek the funding or other means to acquire resources to expand. The decision related to the tools and activities available in a space should also take into consideration the expertise of paid and volunteer staff. Thus, working through each of the primary elements of the framework will inform multiple operating decisions. Regardless of how the space is designed or how it shifts over time, the learning that occurs in a makerspace takes on both formal and informal elements. Just as the spiral in Figure 1 illustrates the multidimensional quality, it also embodies the learning that occurs in the space with the assistance of each spectrum. Guidelines of makerspaces include accepting and learning from failure, encouraging experimentation, supporting unintentional consequences of damage to equipment, and facilitating collaboration (Kurti, Kurti, & Fleming, 2014). Those familiar with the various iterations and implementations with what many refer to as career and technology education (CTE) programs likely see resemblances between some makerspaces and the shop and fabrication spaces often encountered with workshop-based learning environments that specialize in skilled trades and equipment operation (Great Schools Partnership, 2014). The differentiation and perhaps most significant distinction rests in the ability of a makerspace to shift from completely closed access to inviting external expertise as well as the learning from failure entrepreneurial spirit and fluid, evolving nature. Communities and schools that attempt to create a makerspace or rebrand an existing facility under the assumption that a space can only exist in their context if it contains a specific list of equipment aligned directly to scripted curriculum suffer from a narrow view of the maker movement and embodied character. With the rise in attention to and popularity of the maker movement, scholars and practitioners have rushed to capitalize on this momentum under the guise of everything from educational reform to salvaging educational facilities and programs. Economic downturns and renewed interest in the DIY approach and hands-on construction helped introduce and even foster maker movement growth (Lahart, 2009). While leaders have argued about the role of creativity in the classroom and grappled with reconciling educational policies and mandates with curricular strategies and assessment, communities embraced centers of informal learning engagement. Teachers and schools then began to see the makerspace as a means to reinvent curriculum through a constructionist paradigm (Donaldson, 2014) with the ability to promote learning and innovation skills such as the Partnership for 21st Century Learning’s (2011) 4Cs — critical thinking, communication, collaboration, and creativity. However, given the movement’s deep connection to informal learning, school-based makerspaces must now consider how to blend this approach with formal learning. Makerspaces inherently hold potential for learning through varied drop-in or scheduled activities and clubs, but the informal emphasis poses challenges to educators. As Kurti, Kurti, and Fleming (2014) noted, “Learning may occur, but it is not the primary objective” (p. 8). An individual’s primary objective or purpose in a makerspace varies as widely as the different types of spaces that exist. The driving informal learning factor that occurs rests in a learner-centered approach. In other words, the learner determines what activity he or she wants to undertake, triggering a self-regulated learning phenomenon wherein the the individual serves as the primary driver of all actions based upon intrinsic motivation (Zimmerman, 1986). All knowledge and skill necessary to complete that activity then become the responsibility of the learner, and he or she must seek out the expertise and resources to help complete the activity. This expertise takes the form of volunteered and paid staffers, both in residence and invited. The makerspace also facilitates access to other resources such as online videos or tutorials, consumable materials necessary for the activity, and safety support. Education researchers easily look at this specific learning environment and draw parallels between informal makerspace learning and problem-based learning (PBL). At the very core of a makerspace lies an ill-structured problem, a learner wanting to learn a new skill or create something he or she has never attempted before, with many ways to approach and solve the problem, and this aligns perfectly with Jonassen’s (2000) definition of PBL. Even the individual variable of engaging in self-directed learning sits as a cornerstone to PBL design (Scott, 2014). Although many educators and researchers have attempted to encourage and foster PBL curriculum in PK-12 schools (Gallagher, 1997; Hmelo- Silver, 2004; Ward & Lee, 2002), actual implementation has been difficult (Brush & Saye, 2000; Ertmer & Simons, 2006; Frykholm, 2004). Among the issues recognized by teachers as a barrier to adopting PBL, Ertmer, et al. (2009) found that allowing students to take responsibility for their learning and effectively integrating technology tools arose as a common theme. Perhaps then, the makerspace approach provides a means for clearing this challenge and making PBL easier to adopt while simultaneously bridging the formal and informal. Returning to the earlier example makerspaces in Wyoming provides examples of how learning transcends individual projects. 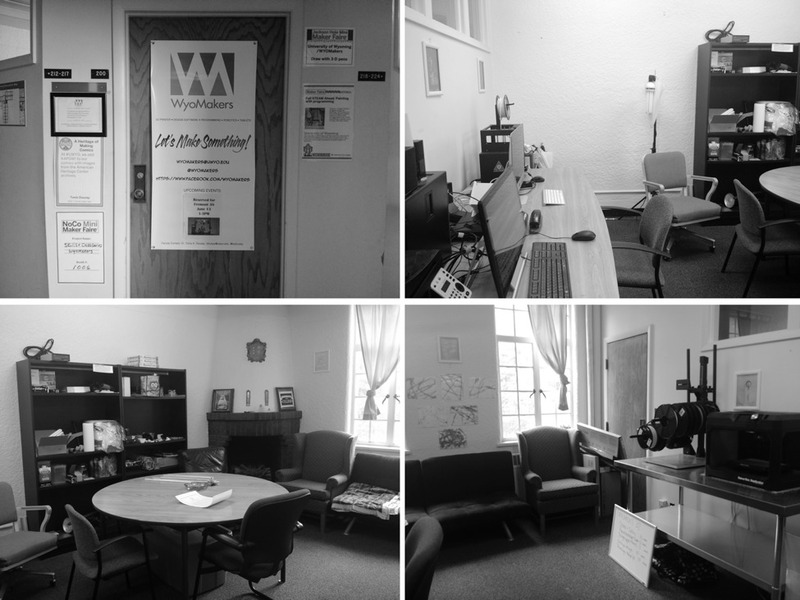 The WyoMakers space currently operates on a drop-in basis for students, faculty, staff, and community members to take advantage of tools, expertise, and resources. However, formal courses at the University of Wyoming may take advantage of scheduling the space. For example, the Agricultural Education methods course for preservice teachers requested a special informational session in Fall 2015 for the students to learn about the available tools and consider how they might use these facilities as educators. The formal instruction included a brief overview of tools found in WyoMakers as well as tools found in school-based makerspaces around Wyoming in conjunction with demonstrations of the equipment. The preservice teachers worked through basic safety training for the 3D printers before exploring Thingiverse.com for relevant projects that might align with their proposed lesson plans. In particular, multiple students found particular use for an open-source hydroponics lesson (see 3dprintler, 2014). The students experienced using a 3D printer to load and begin printing one of the objects, evaluating the final print for suitable use. The falling semester, these students completed their teaching residencies, where one preservice teacher found herself in a facility that required using 3D printers and design software. Her experience in the WyoMakers makerspace allowed her to be better prepared to design formal learning experiences for her students. From an interdisciplinary standpoint, the JHHS FabLab provides an exemplary example of how multiple courses can take advantage of the maker learning environment. Junior and senior students at JHHS must complete a Greek mythology unit as part of their English/Language Arts curriculum. At the conclusion of the unit, students are challenged to re-create a scene or character from one of the stories in a medium of their choice. A student enrolled at JHHS during the 2015-2016 school year opted to design a figurine of Perseus using the AutoCAD software, working through iterations of prototypes and testing his designs. From meticulously adjusting measurements of scale to ensuring that features of the figurine matched descriptions of Perseus from the stories, the student spent two weeks working informally in the FabLab under the guidance of the space manager to achieve the goals of the assignment. Ultimately, the English teacher worked in conjunction with the makerspace coordinator to assess the student’s ability to meet the original assignment requirements. Neither teacher had any obligation to encourage the student to seek a creative solution to the assignment or work with him. However, they seized upon the opportunity to take a risk and allow something non-traditional. Recent legislative changes announced as part of the Every Student Succeeds Act (ESSA) might help create a more favorable environment for these types of collaborative, risk-taking assessments in the classroom. For example, reducing duplicative standardized assessments and possibilities related to competency- and/or performance-based assessments (O’Brien, 2016) conceivable opens up the potential for formal assessment informed by informal learning. Referring back to the proposed framework in Figure 1 and previous makerspace profiles discussed, consider the relationship between a closed-access space tied to a specific course or set of courses/curriculum. The earlier comparison with CTE facilities takes on an old perspective. Makerspaces in a community thrive due to their fluid and evolving nature that invites interdisciplinary collaboration. CTE facilities, arguably, fell out of favor with formal education through budget cuts and policies or practices that only allowed certain subgroups of students to use the space. Example policies and programs include college-bound or career-ready tracks of courses prescribed for students. In some cases, these practices segregated students, emphasizing post-secondary education over vocational opportunities (Baxter, 2012). If schools adopt a proactive stance of applying open philosophies, collaborative management and use, and integrated project facilitation, they may be able to sustain the maker movement beyond initial hype and implementation. How a PK-12 school approaches these characteristics likely depends largely on breaking down subject-based silos and inviting teachers and staff to experiment with team-teaching or guest teaching in an interdisciplinary PBL approach, which is not uncommon in some post-secondary classrooms. However, adopting such an approach forces school administrations to also shift from a low-risk mindset to one that encourages risk-taking and nontraditional systems thinking. If a school considers creating a makerspace or rejuvenating an existing curricular program, they would be mindful to heed this guidance and incorporate sustainability into each characteristic of the framework in Figure 1 or suffer the hazard of watching their space quickly become obsolete. To truly attain sustainability and not be considered the next generation of obsolete computer labs or workshops, school-based makerspaces must continuously evaluate and evolve. Baxter, J. (2012, February). CTE funding: An uphill battle. Techniques, 20–23. Ertmer, P. A., Glazewski, K. D., Jones, D., Ottenbreit-Leftwich, A. T., Collins, K., & Kocaman, A. (2009). Facilitating technology-enhanced Problem-Based Learning (PBL) in the middle school classroom: An examination of how and why teachers adapt. Journal of Interactive Learning Research, 20(1), 35–54. Frykholm, J. (2004). Teachers’ tolerance for discomfort: Implications for curricular reform in mathematics. Journal of Curriculum and Supervision. Gallagher, S. A. (1997). Problem-based learning: Where did it come from, what does it do, and where is it going? Journal for the Education of the Gifted, 20(4), 332–362. Kurti, R. S., Kurti, D., & Fleming, L. (2014). The philosophy of educational makerspaces: Part 1 of making an educational makerspace. Teacher Librarian, 41(5), 8–11. Papert, S., & Harel, I. (1991). Situating constructionism. In Constructionism (pp. 1–11). New York: Ablex Publishing Corporation. Ward, J. D., & Lee, C. L. (2002). A review of problem-based learning. Journal of Family and Consumer Science Education, 20(1), 16–26. 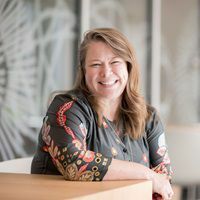 Dr. Tonia A Dousay is an assistant professor of learning science in the Department of Curriculum & Instruction and research scientist for the Doceo Center for Innovation + Learning at the University of Idaho. Her research interests include instructional and multimedia design, learners as designers, design-based learning, teacher education, and K-12 technology integration. In 2016, she received the ISTE Award for Advocacy. Dr. Dousay received her PhD in learning, design, and technology from the University of Georgia.